Today’s guest is Nicole Holland, podcasting wiz and host of The Business Building Rockstars Show. Getting featured on New & Noteworthy; what is required? The future of the industry: Are podcasts here to stay? 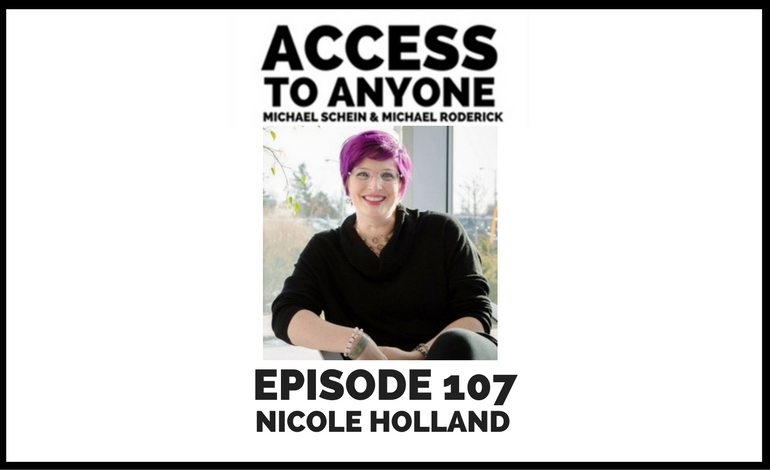 Nicole Holland is the woman behind the scenes at interviewsthatconvert.com, and the host of The Business Building Rockstars Show, along with her new podcast, Get Guest Ready. Nicole helps successful business owners and CEOs increase their visibility through Podcast Guesting so they can make a greater impact, influence, and income. Nicole has been named in The Huffington Post as one of “50 Must-Follow Women Entrepreneurs in 2017” alongside powerhouses including Marie Forleo, Danielle LaPorte, Amy Porterfield, and Dorie Clark. With her focus on building relationships and being a great guest, Nicole brings a unique perspective to the podcasting community and inspires entrepreneurs all around the world.